As we’ve focused on repentance this month, I hope your spirit has become sensitive to God. I hope that as you’ve read these blogs they have worked their way into your heart and it has softened, allowing the Holy Spirit to convict you of sin in areas that you have previously been blind. I pray that you have taken those areas to the Lord and asked forgiveness. I trust that you are choosing to live differently as God leads you out of sin toward righteousness. 7Nevertheless I tell you the truth: It is expedient for you that I go away; for if I go not away, the Comforter will not come unto you; but if I go, I will send him unto you. 8And he, when he is come, will convict the world in respect of sin, and of righteousness, and of judgment. Judgment is coming. Righteousness is available to us through the blood of Christ. The Holy Spirit, who is also called the Comforter, has been sent to us to convict us of our sin so that we might turn to the righteousness of Christ. When we live in repentance, we draw closer to the Kingdom of Heaven. In response to questions by the Pharisees about when the Kingdom of God would come, Jesus answered that “God’s Kingdom is already among you.” John 17:21b (The Message) One of the tremendous blessings that accompany repentance is a nearness to God and greater experience of the Kingdom of Heaven in our lives. With the Kingdom of Heaven comes God’s blessings. 31“So don’t worry about having enough food or drink or clothing. 32Why be like the pagans who are so deeply concerned about these things? Your heavenly Father already knows all your needs, 33and he will give you all you need from day to day if you live for him and make the Kingdom of God your primary concern. God’s greatest desire is for us to pursue Him wholeheartedly. When our heart is bent toward repentance we are not only seeking God, but doing so with a desire to make His ways our ways. And that’s wholeheartedly seeking Him. 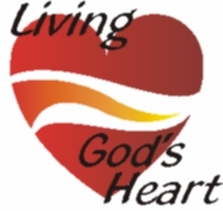 I pray that as we move to our third heart condition next week that we do so without leaving the repentant heart behind. Continue to meditate on the heart God wants you to develop as you spend time with Him this week. This entry was posted on Tuesday, February 26th, 2013 at 6:57 am and is filed under Blessed Life, Christian Living, God's ways, holiness/sanctification. You can follow any responses to this entry through the RSS 2.0 feed. Both comments and pings are currently closed.